As we age, it’s essential that we develop daily healthcare practices to keep our minds and bodies healthy. However, it can be easy to neglect one important part of lifelong healthcare: memory care. Memory care is critically important to keep our minds sharp throughout our golden years. Activities that promote memory care are especially important for individuals who have been diagnosed with memory conditions like dementia and Alzheimer’s disease. Memory care activities for seniors can be complex, like targeted olfactory stimulation activities, or as simple as revisiting familiar hobbies and interests. Whether complex or simple, memory care activities offer a great way for seniors to stay sharp while fostering emotional connections. Certain smells can trigger some of our strongest and most pleasant memories. For many people, the smell of cookies in the oven might recall memories of holidays spent with loved ones. Certain candle scents and aromatherapy oils might also remind us of exotic vacations we’ve taken in years past. Olfactory activities target the sense of smell to evoke fond memories. These activities are especially helpful for seniors with memory conditions. Those seniors might even find that certain smells stir memories that otherwise would have been lost. Effective olfactory activities can include baking, aromatherapy, shopping for scents (or simply browsing), and other creative supervised fun. As we age, it can be challenging to stay engaged with friends and loved ones. For many seniors, favorite hobbies and activities can become frustrating and isolating, especially when memory conditions are involved. Despite these challenges, it’s vital to keep seniors involved in hobbies and interests that give them pleasure as memory conditions advance. 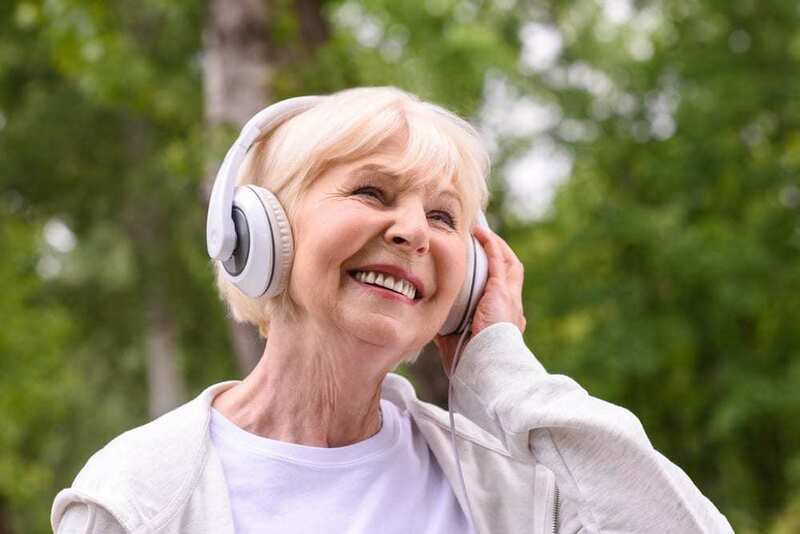 One good way to keep seniors engaged is through stress relief activities like listening to music. Music therapy activities like singing, dancing, and playing instruments have all been proven to improve emotional well-being in seniors with memory conditions. Listening to or playing music can also encourage self-expression in seniors, helping to relieve stress and irritability as memory conditions advance. Physical activity doesn’t just help your physical health – it can also help your brain stay healthy as you age. As individuals advance into their golden years, physical restrictions can sometimes get in the way of high-impact exercise activities like jogging or cycling. However, there are plenty of low-impact exercises that can keep us feeling sharp. If your fitness level allows, take advantage of water aerobics programs or participate in light walking. You can also participated in a “sittercising” program, which includes a series of exercises that can be completed from a chair or wheelchair. Memory care might not be the first thing you think of when considering long-term healthcare. However, it’s essential to keep seniors feeling happy, healthy, and sharp throughout their golden years. At the Crossings at Riverview, we offer a variety of memory care activities for seniors. Whether our residents are baking, watching favorite movies, or “sittercising,” there’s always plenty of excitement and activity at our friendly community. Are you looking for a memory care facility near Riverview, Florida? Check out the Crossings at Riverview, located near Tampa, Florida. Our staff and trained healthcare associates work hard to help our residents stay on track with their health goals. We invite you to tour our community, meet our friendly staff, and see our amenities first-hand. Overlooking the Alafia River on twelve beautiful acres, the Crossings at Riverview offers a relaxing atmosphere, and our talented team is committed to cultivating a welcoming and vibrant community. Our goal is to make our community feel like home for all of our residents. To schedule a tour, call 813-296-6165 or contact us online. We look forward to meeting you!